Who doesn't love a good hot chocolate? But aren't you sick of the mediocre hot chocolate mix or that fake hot cocoa from the local fast food joint? Here is a natural and delicious alternative to keep you going this winter! Bring milk and cinnamon stick to a boil over medium heat. Reduce heat, and simmer gently for 10 minutes. Remove cinnamon stick, rinse, and reserve. Whisk in cocoa, chocolate, sugar, and salt, whisking vigorously until mixture is foamy, 1 to 2 minutes. Garnish and stir with cinnamon stick. Add additional milk as needed. 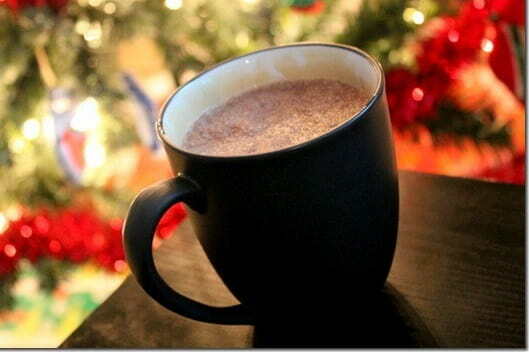 I hope you enjoyed this recipe for almond butterscotch hot chocolate without breaking your resolution to eat healthier!